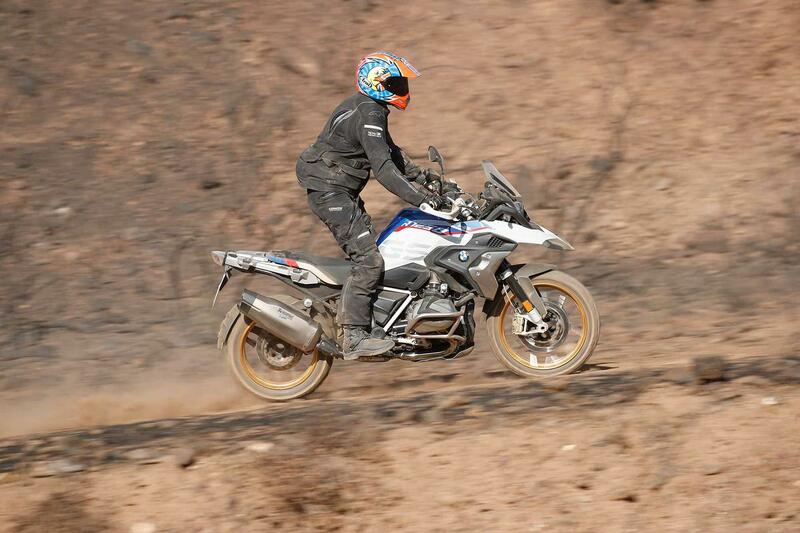 At first glance not much has changed with BMW’s new R1250GS. It has identical styling to the outgoing 1200 and the same chassis set-up, but you’ll find it better equipped and if you tick the options boxes you’ll get more advanced rider aids, too. 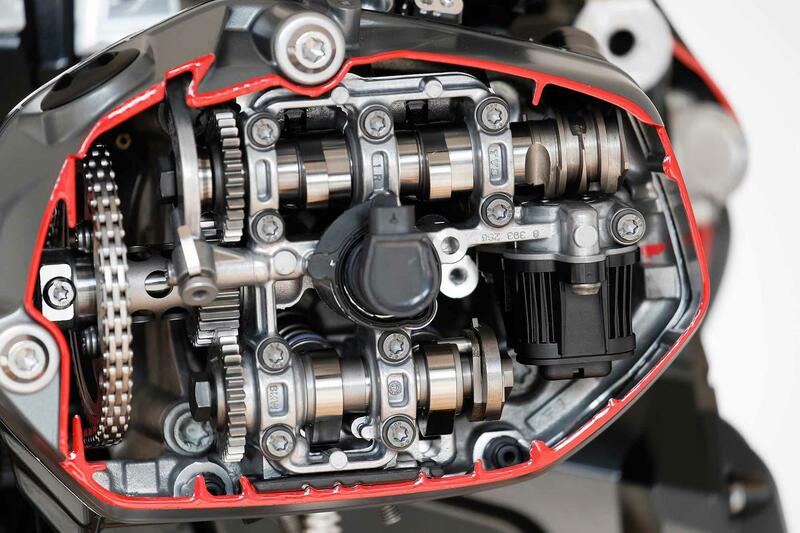 But the big news is the GS’s new 1254cc ‘Shift Cam’ Boxer engine, featuring ‘Shift Cam’ variable valve timing – a first for a BMW motorcycle, boasting more torque, top end power and mpgs. Try as you might, you can’t feel the clever cam doing its thing, which is how it should be and it really does seamlessly deliver more power and torque, with no hiccups, stutters or jolts. It was always a risk to mess with the GS’s winning formula with edgy new tech, which is why, a few details aside, everything else remains unchanged from the 1200, but thanks to the motor’s extra sparkle the big GS is better than ever. The BMW still may not have the superbike-levels of power of some it its rivals, but whether you’re touring, commuting, scratching or getting muddy the R1250GS still comfortably does it all. Shift Cam aside, the R1250GS rides and handles just like the R1200GS, but that’s a very good thing, because every time we jump on a big GS it’s always a pleasant surprise. It may be a quirky and even clumsy looking beast, but it’s the most unlikely tourer, performance bike and mud muncher, all rolled into one. Once I raise the seat to its tall position (from 850 to 870mm) it offers daylong comfort and kindness to worn-out joints. It exudes poise, grip and has superb wind protection and brakes (some GSs will now get BMW-branded Hayes calipers - others Brembo). Off-road it’s still not as light on its boots as a KTM 1090R Adventure, but the motor’s extra grunt and delicious throttle response makes the GS more controllable than ever. It has a natural standing-up riding position and optional ‘Enduro Pro’ electronics offer off-road tailored traction control, ABS and suspension settings. Forget the all the tech for a moment, because from the comfort of its skyscraper-tall cockpit, all the ride-by-wire controlled ‘Shift Cam’ does is give you a GS with more low-down grunt than ever, with the softest throttle pick-up this side of a factory race bike. As a result, it’s a joy to ride at normal speeds and the BMW has so much grunt, sixth is all you need, even powering out of slow, uphill hairpins. Yoga teachers struggle to be as flexible as the 1250’s motor. Ride like an angel and you’ll get an extra 4% better mpg, too. We spend hours in the saddle desperately trying to feel the Shift Cam working, but we can’t. There’s no step, jolt or hesitation when the inlet cam slides along the top of the engine (in just five milliseconds) to increase valve lift. All you feel is a flood of perfectly delivered power. 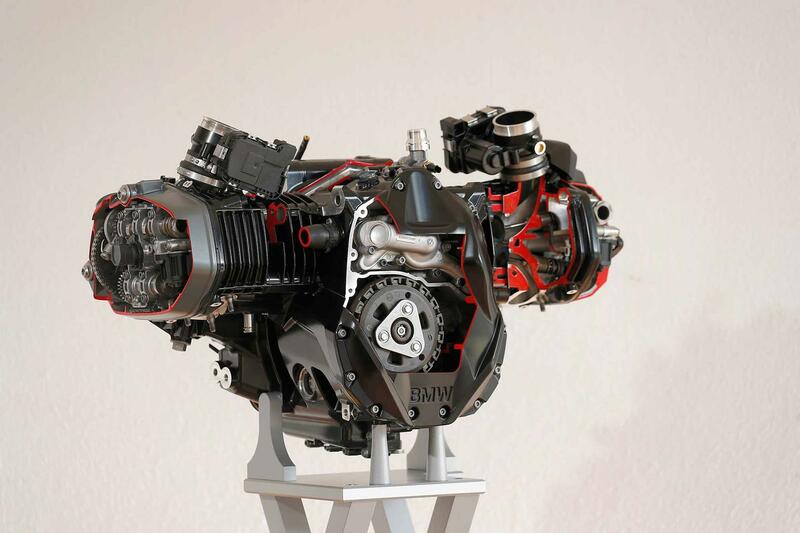 That clever cam, featuring partial and high-lift cam lobes (operated by an electronic shift gate), staggered inlet valve opening (which creates swirl in the combustion chamber for a better burn) and a 3mm longer stroke, all add up to a motor with 14ftlb more torque, at 250rpm less than the 1200’s. There’s no fixed point in the revs where the inlet cam shifts. At anything below 5000rpm in top gear (around 80mph), for example, the motor can be running semi-skimmed or full fat cams - it all depends on how hard you open the throttle. But with the engine spinning faster you’ve got 136 shouty horses to play with (up from the 1200’s 123bhp) and enough poke to clutch-up easy third gear wheelies. The bigger-bored motor (up from 101 to 102.5mm) may still not rival a 160bhp KTM 1290 Super Adventure in a Top Trumps shoot-out, but the BMW never leaves you feeling short-changed. Like any machine the big GS has had its fair share of recalls and issues, but credit to BMW and its dealer network, problems are addressed with typical Germanic efficiency. We’re at the launch of the new BMW R1250GS. Shift Cam technology promises to give lots of low down torque and top end power, but does it work? We’re about to find out. The base BMW R1250GS won’t cost you the earth, but the reality is most buyers will tick boxes and add optional performance, electronics and equipment packs. They’ll add thousands to the price, but will considerably enhance the owning experience and make their BMW more desirable when it’s time to sell. 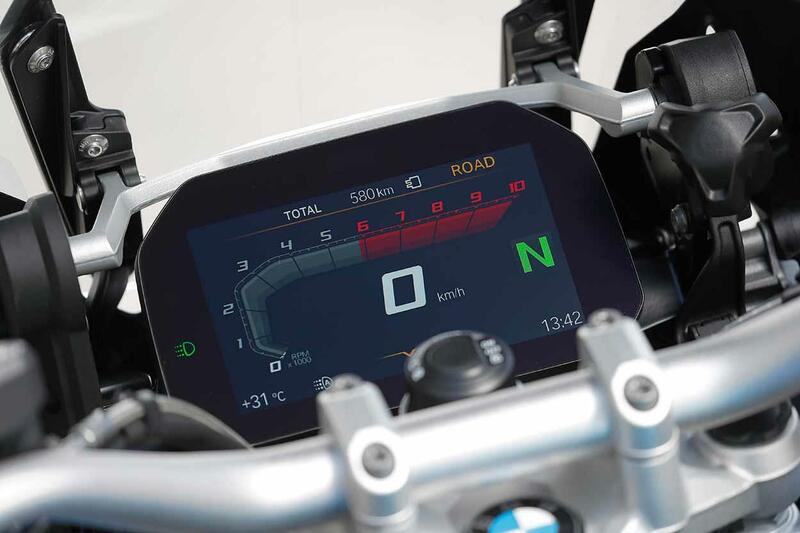 Not only do you get a clever new engine, but a colour TFT dash with connectivity, LED headlights (both add 5kg to all-up weight) and a basic Hill Start Control system are now included on the base R1250GS. As part of the optional 'Riding Modes Pro' package you now get 'Dynamic Brake Control', which automatically shuts the throttle butterflies when you brake hard and stops you from accidentally braking against the throttle in an emergency. New Hill Start Control Pro knows when you've pulled up on a slope (via the Inertial Measurement Unit) and applies the rear brake for you until you pull away again. 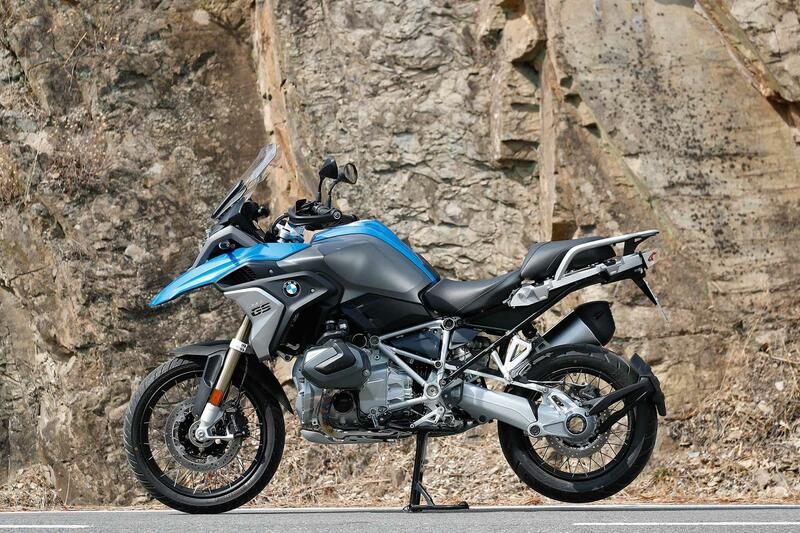 This model was introduced in late 2018 to replace R1200GS and launched in Portugal in September, before arriving in UK dealers in the October of the same year. 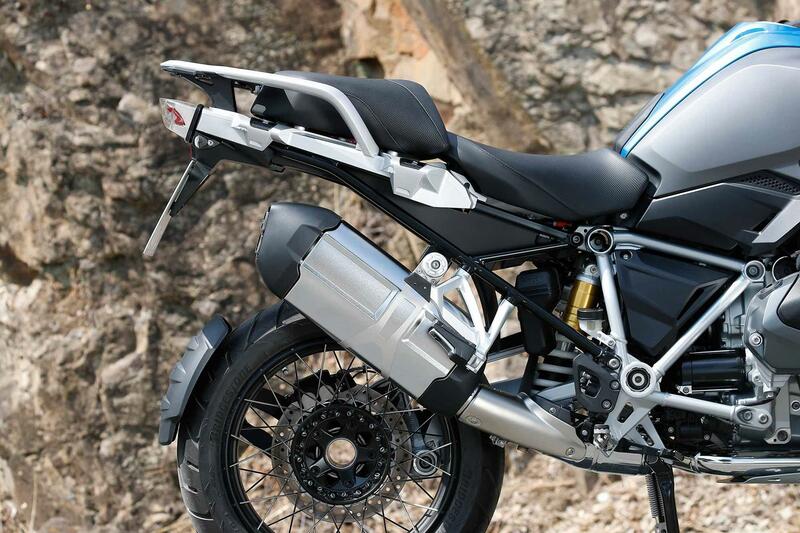 Prior to the 1250, the R1200GS had been in production since 2004, receiving three updates to the standard GS model alone in that time. In its time, the bike was one of the best-selling large capacity motorcycles in the UK, capable of conquering continents, as well as heading to the supermarket for your daily shop. Indeed, the 1250 has big shoes to fill. None, at the time of writing (Sep ’18), but expect an R1250GS Adventure soon. 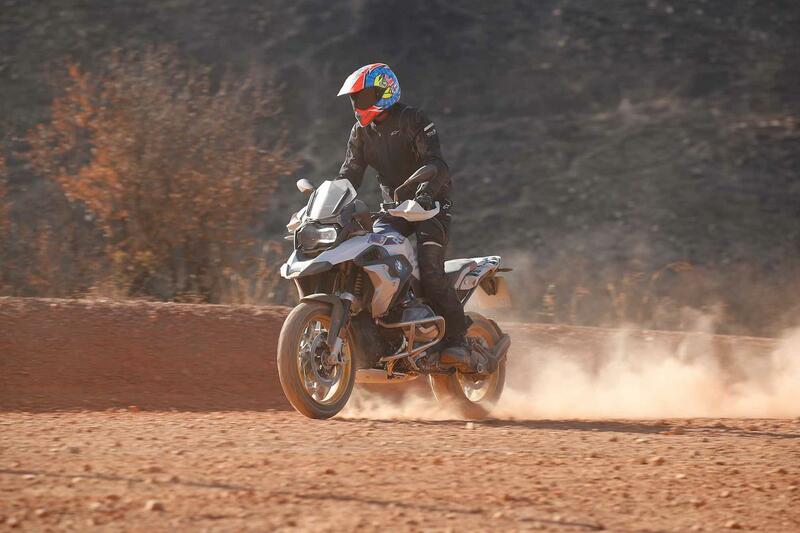 1 owner has reviewed their BMW R1250GS (2019-on) and rated it in a number of areas. Read what they have to say and what they like and dislike about the bike below. Great engine, comfort and equipment on TE spec. The handling is great at any speed and the weather protection and luggage options are fantastic. 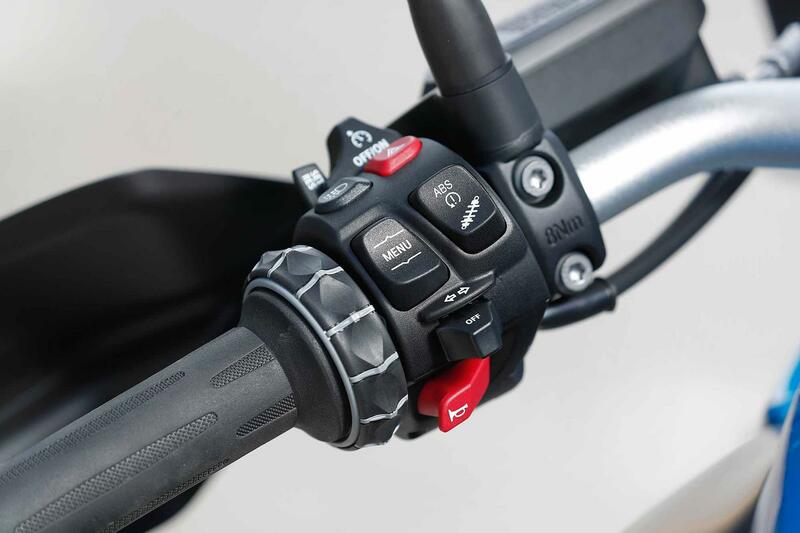 The controls are easy to use whilst on the move and the build-quality of the bike and switch gear are top-notch. The TFT screen is fantastic as are the safety features and the on-road or off-road capabilities. The height and weight of the bike can be a problem, particularly when using the centre stand. The bike is just as happy in town as it is on a motorway. I can ride it for hours without discomfort. Strong performance and pulls in any gear. Engine is very smooth. Very well made (it's German). Love the TFT screen it's perfect. Will be adding luggage any day now. Purchased from local BMW dealer new. Spied: Is this the BMW Custom Concept?